I did it! 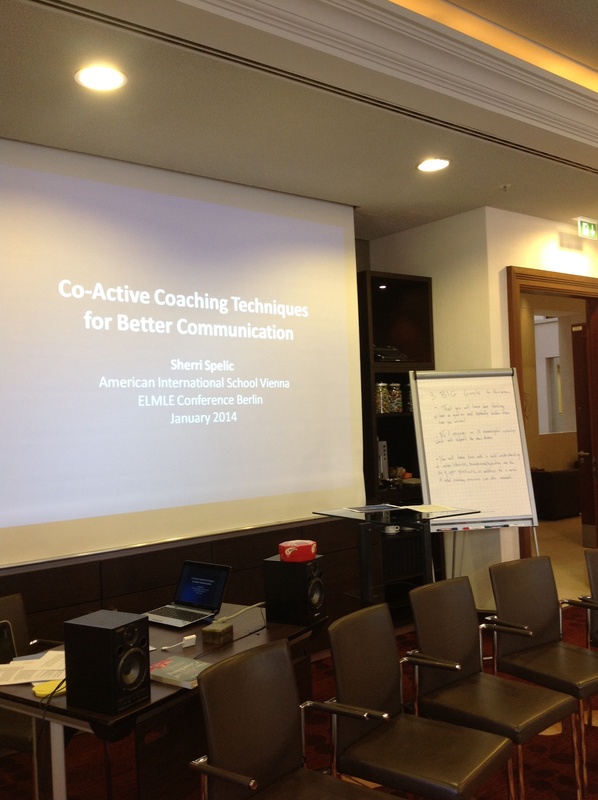 I delivered my workshop on “Co-Active Coaching Techniques for Better Communication” at an international educators’ conference and loved every minute of it. The primary focus was on introducing and practicing active listening, paraphrasing, the use of open questions and demonstrating how these skills converge during a coaching dialogue. What did my participants take away from the session? I feel myself flexing my integrity muscles. I authorize myself to soar and in doing so, encourage others to take wing, make the leap, run the risk; to find their own music and share it. I resist that persistent urge to keep my coaching a secret. I make my practice public (by offering workshops). I accept the vulnerability that comes with putting my work out in the world. I get to live my passion and deliver on a promise to myself. I open myself to new contacts and unexpected conversations. Educators talk a lot about goals, outcomes and processes. These were all part of my positive workshop experience. And yet the piece that truly makes me hardly able to wait until the next opportunity: the sheer joy of coaching others! That’s how I know I’m in the right place, at the right time, doing the right thing.